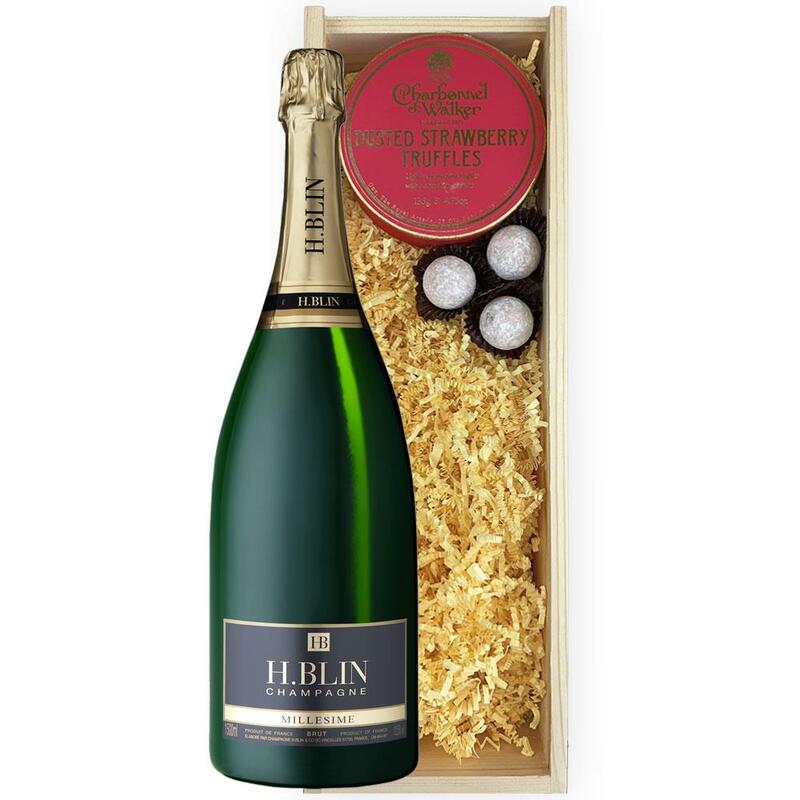 Buy this big bottle of Henri Blin Brut Champagne Magnum 1.5cl, Strawberry Charbonnel Truffles (125g), Presented in a wooden gift box with sliding lid and lined with wood wool with a Gift Card for your personal message. 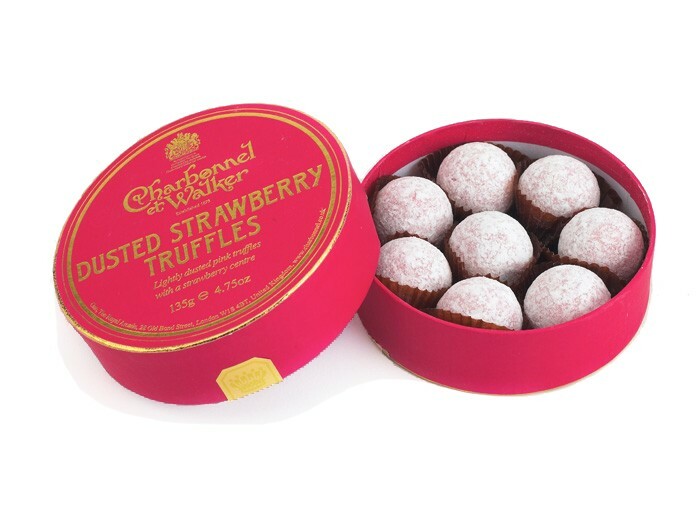 Charbonnel et Walker strawberry truffles are filled with strawberry flavour, resulting in a truffle so delicious that you would think you were eating freshly picked strawberries! They are rich chocolate truffles filled with the delightful summer flavours of strawberries and cream. A Magnum of Henri Blin Brut, NV, Champagne (1.5 litres). A firm favourite.